It’s not just the time that is a-changin’—it’s the colors, too. Depending on the light, environment, and angle from which you view Alex Brokamp’s color clock, the reflective face can appear in a range (or combination) of colors and hues: red, yellow, orange, purple, green. → Brokamp screens dichroic film—a material 3M designed based on the iridescence of butterfly wings—onto a laser-cut acrylic circle to make the changing clock face, and mixes in black paint as he casts the plaster base to give it marbled character. 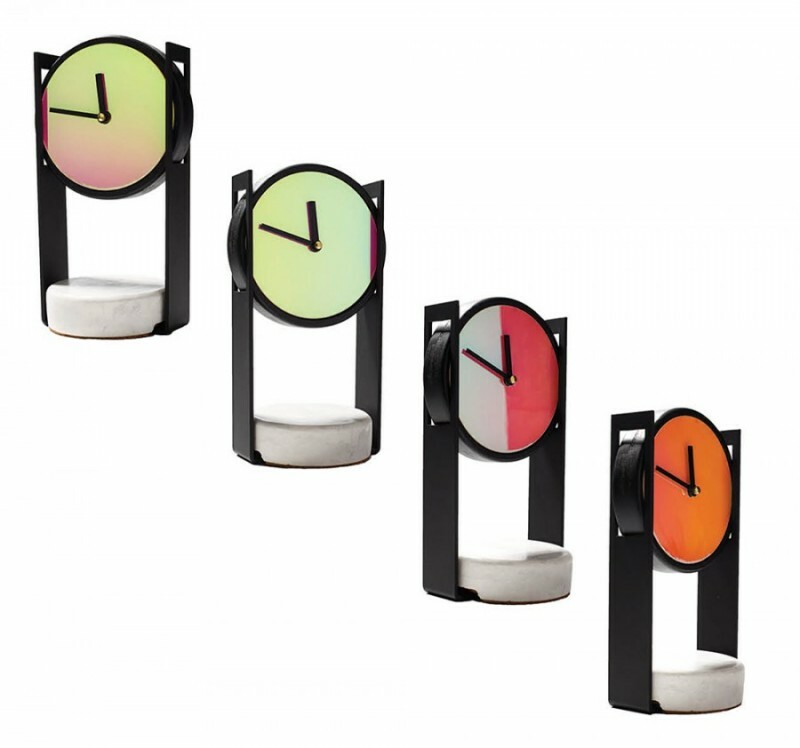 → Pick up a color clock on Brokamp’s site, atob-studio.com, or at Continuum in Over-the-Rhine. → This month, Brokamp is exhibiting his work (which also includes furniture and lighting) at the Architectural Digest Design Show in NYC.